The anniversary is not actually celebrated. 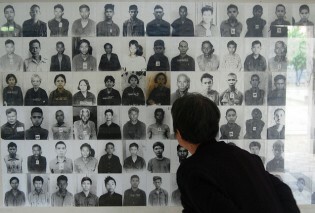 After all these years, talking about the Khmer Rouge is still controversial. This is partly because the genocide came ‘from within’. Almost every family has a feud that goes back to this dark history in the seventies. The new Macau. That's what the Cambodian coastal city Sihanoukville is called nowadays. Chinese investors are building casinos there on a massive scale. The southern port city lies on the new Silk Road (the so called 'One Belt, One Road') and is therefore interesting for China. The Cambodian government is happy to accept the money. And Beijing never asks difficult questions.